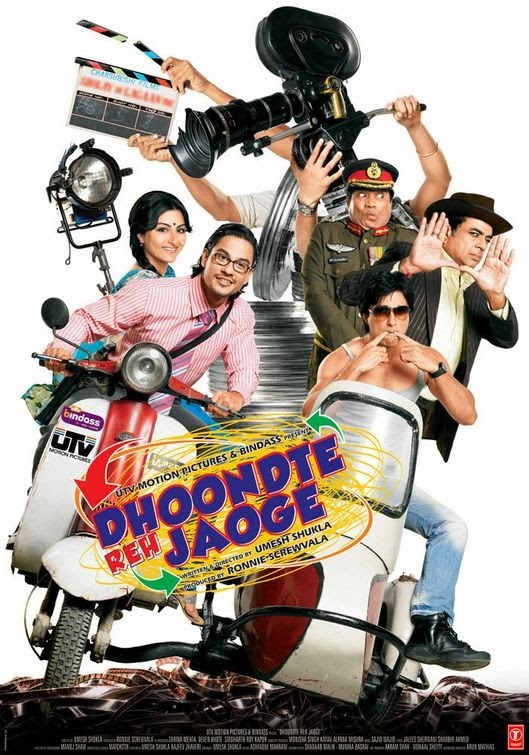 Info : Dhoondte Reh Jaoge (Hindi: ढूंढते रह जाओगे, English: You Will Keep on Searching) is a 2009 Bollywood comedy film produced by UTV Motion Pictures, starring Sonu Sood, Soha Ali Khan, Kunal Khemu, and Paresh Rawal, released 6 March 2009 in India, and 20 March 2009, in the United States. The film is directed by Umesh Shukla and produced by Ronnie Screwvala. The music was composed by duo Sajid-Wajid. The concept of creating a flop film in order to make money is adapted from the Mel Brooks film The Producers. The film was declared a hit by boxoffice India.